Lefty's Brewing Company: Greenfield's best craft beer brewer. Lefty's Brewing Company amazes tastebuds with rich craft beer in the Pioneer Valley. Filling up tap rooms, bars, and restaurants across Western Mass, Lefty's Brewing has become a staple of the Pioneer Valley craft beer scene. Starting out, Lefty (and crew) ran tap takeovers at restaurants and bars all over college towns like Amherst and Northampton (UMass, Amherst, Hampshire, Smith, and Mt. Holyoke) and really developed a following. So get to Greenfield to sample (and take home) great beer ... like, now. Don't let the industrial facade fool you. Here be good beer! Where is Lefty’s Brewing Company located? Greenfield, Masschusetts. Prior to that, Lefty’s operated out of Bernardston, MA. Before that, probably a garage or a basement, Lefty has been brewing for a long time. I had the fortune of sampling some around 2009 and it was fantastic then. To note, Lefty’s Brewing Company gets consistently rated as one of the best breweries in Western Massachusetts. 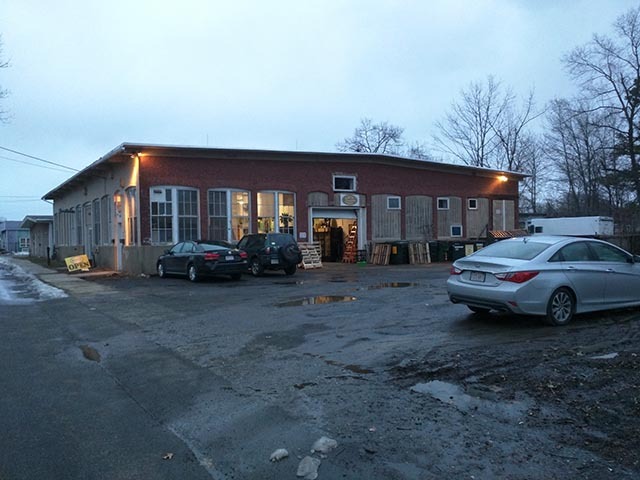 The beginnings of Lefty’s Brewing can be traced back well over a decade, before owner Bill Goldfarb even had the Bernardston (MA) location. Lefty was brewing back when Amherst Brewing Company and Northampton Brewing Company were the only notable craft beer breweries around. I can’t see how they don’t They are friendly folks who love talking shop as much as the next. Plus, who wouldn’t want to see a 15 barrel system in action? Lefty, if you’re reading, would love a tour! PS - Does it help if I too am left-handed? Didn’t notice any kids there. Didn’t think to ask the bartenders and staff. Cans, Growlers, and Kegs, Oh my! What types of beer does Lefty’s brew? A bunch of IPAs, blonde ales, golden ales, stouts, porters. I mean, you name it. The list is long and extensive. The Graham Cracker Porter is a treat. If you see it in stores, or if you have the pleasure of dropping by the tap room, give it a go. You know, I know the Graham Cracker Porter isn’t a Harvest Spice (a la John Harvard’s), but it’s got notes of Cinnamon, and you know what Cinnamon Beer means … it’s time for The Blue Jean Committee! All of the above. Grab some 5oz samplers and build a beer flight, 10oz pours, pints, hell, maybe even opt for the nitro or the (rotating) randall. To go: 12oz cans, 16oz cans, 22oz bottles, 32oz and 64oz growlers, 32oz crowlers. Hell, get yourself 1⁄4 and 1⁄2 barrels. The more craft beer, the better! Not every photo can (nor should) be a glamour shot. Lefty's works hard and does the dirty work necessary to let you pour fresh beer down your gullet! Oh, and get this, you may be able to a rock a 10 beer flight. Hints? Rumors? You drive out to Greenfield and find out for yourself. We will have to return to verify. Lefty’s sells t-shirts and all sorts of swag. They have food trucks on a rotating schedule. Lefty’s Brewing runs a ton of events. They host weddings, they do festivals, musicians, bands, trivia, bingo, you name it. Oktoberfest is coming up pretty soon. You can even buy craft beer soap at some of their events. It’s intense. 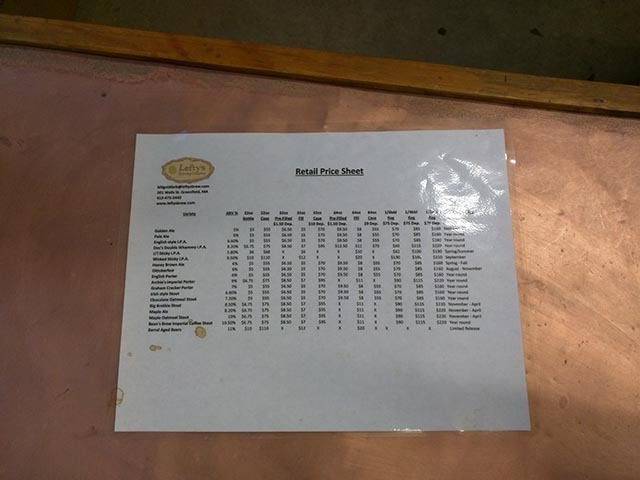 Can I buy Lefty’s Brewing Company beer in stores? All over Massachusetts, though primarily Western Mass. 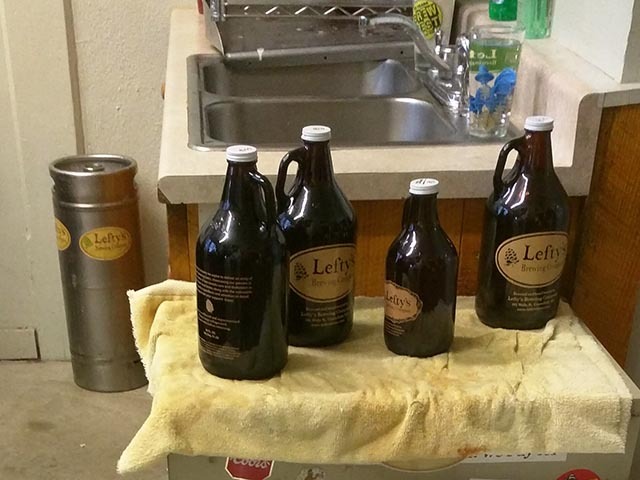 You can find Lefty’s Brewing Company stocked all across Amherst, Northampton, Hadley, Greenfield, Springfield, etc. You can even find it at the Red Nun Bar & Grill on the Cape.